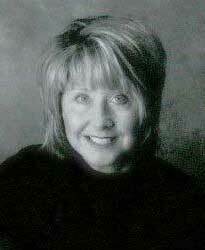 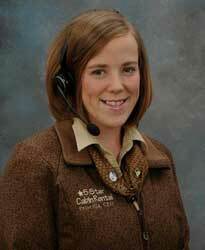 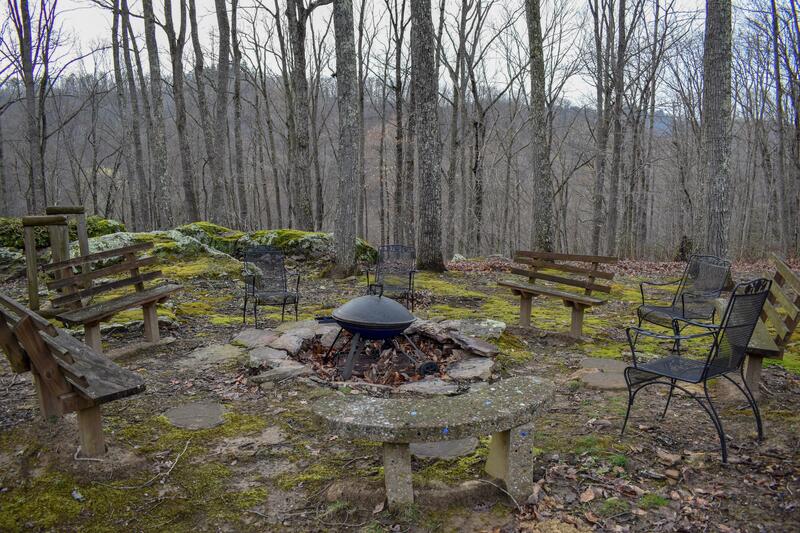 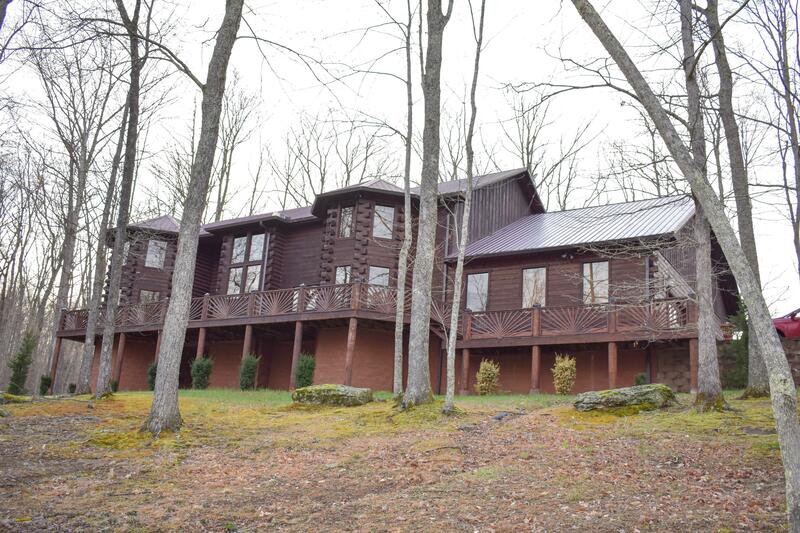 “Knot a Cabin” is the most prestigious cabin in all the Red River Gorge area for a vacation or your dream wedding. 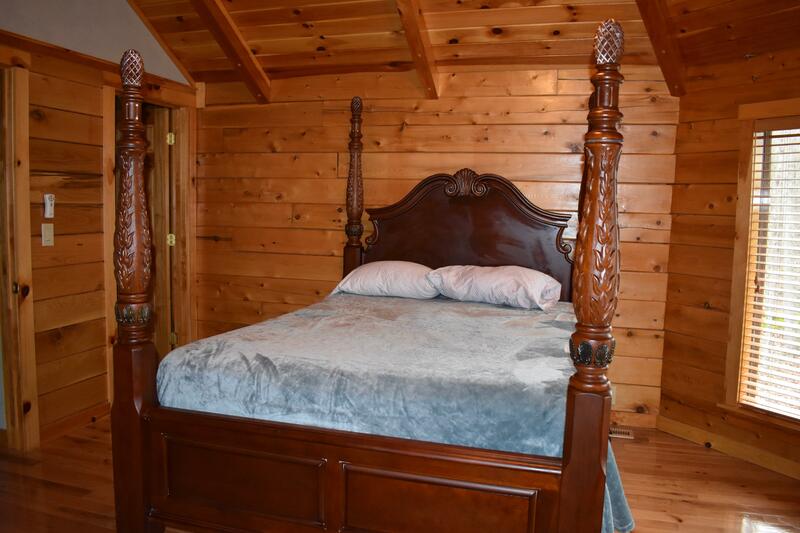 “Knot a Cabin” is the most prestigious cabin in all the Red River Gorge area for a vacation or your dream wedding. 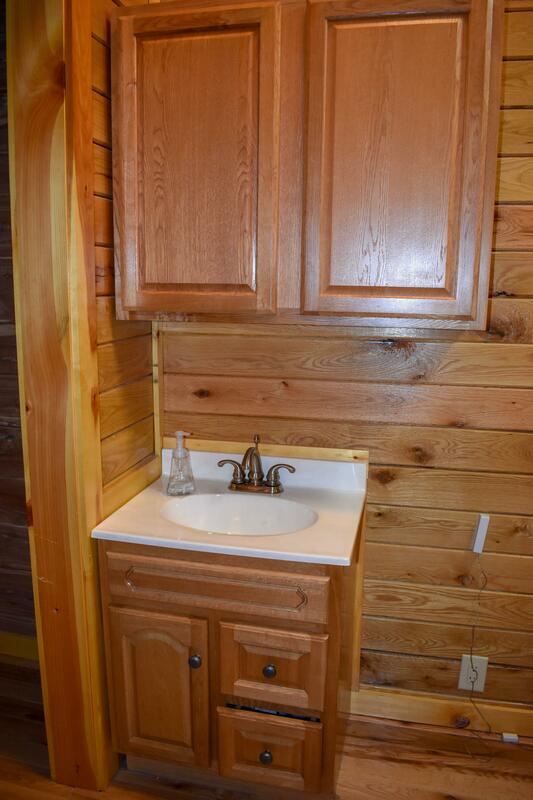 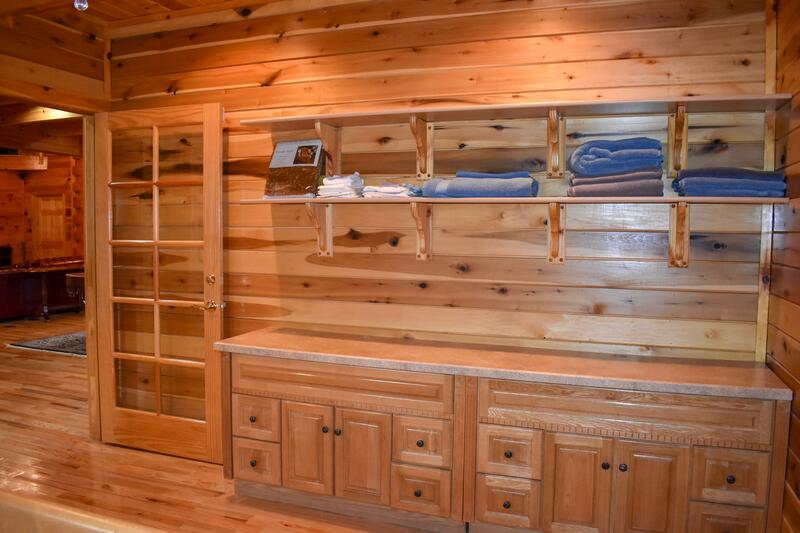 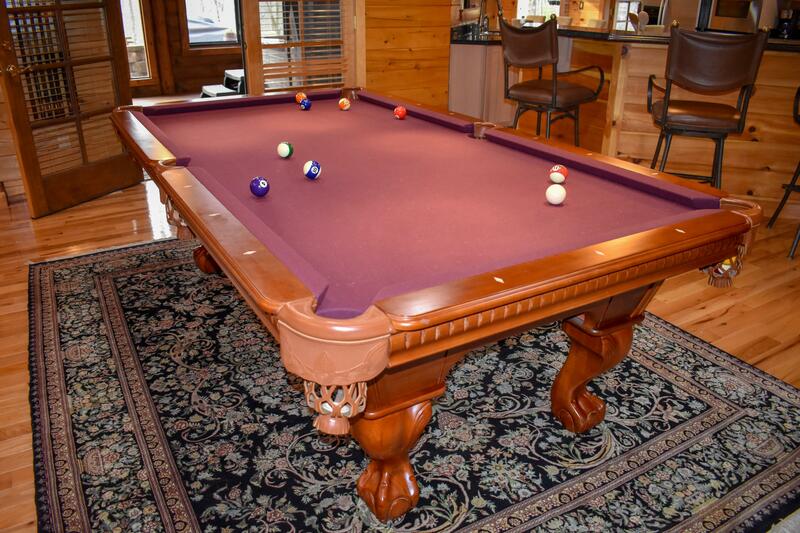 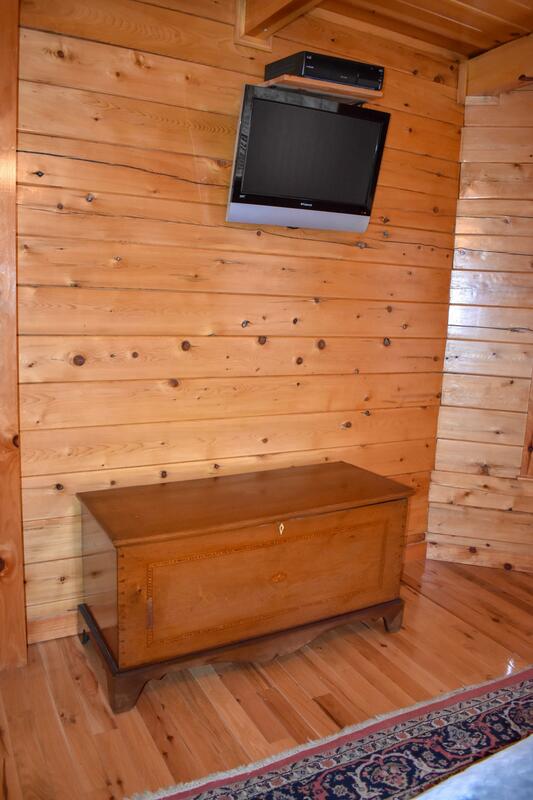 Enjoy almost 5,000 square feet of the finest carpentry work there is to offer. 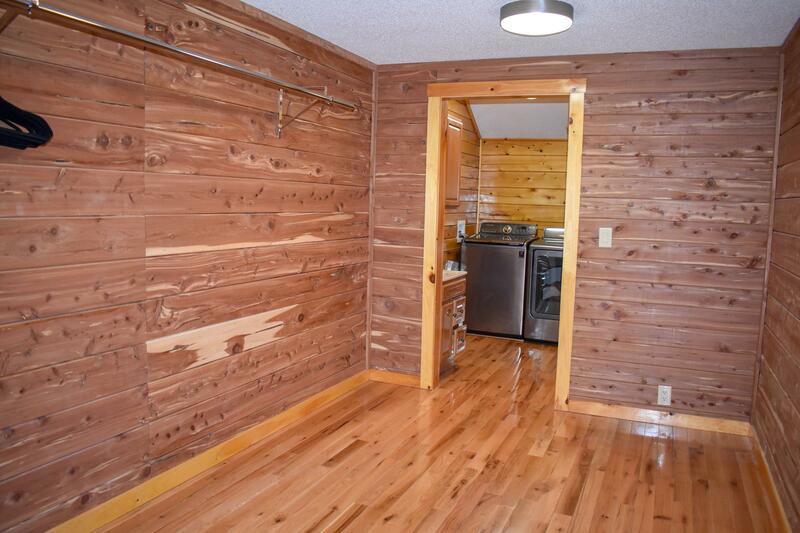 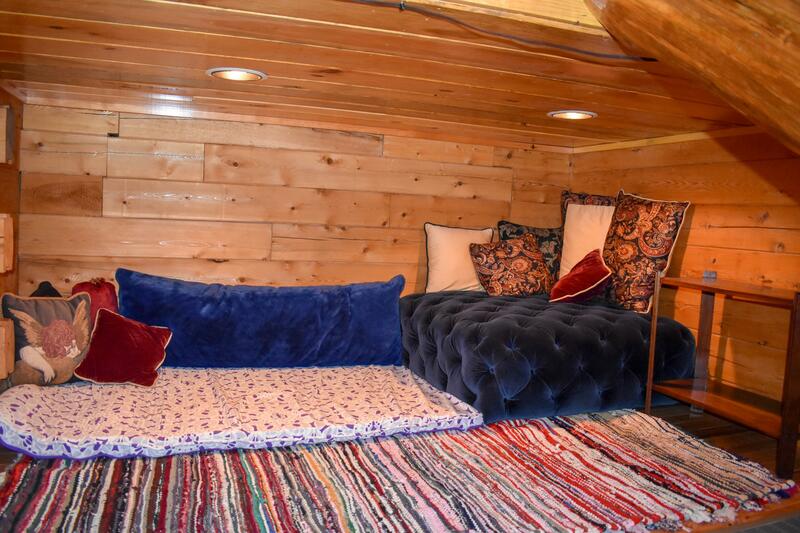 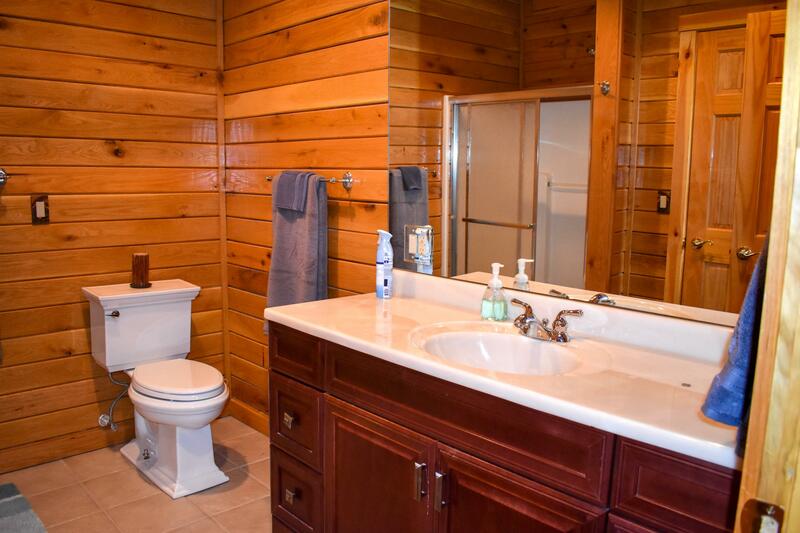 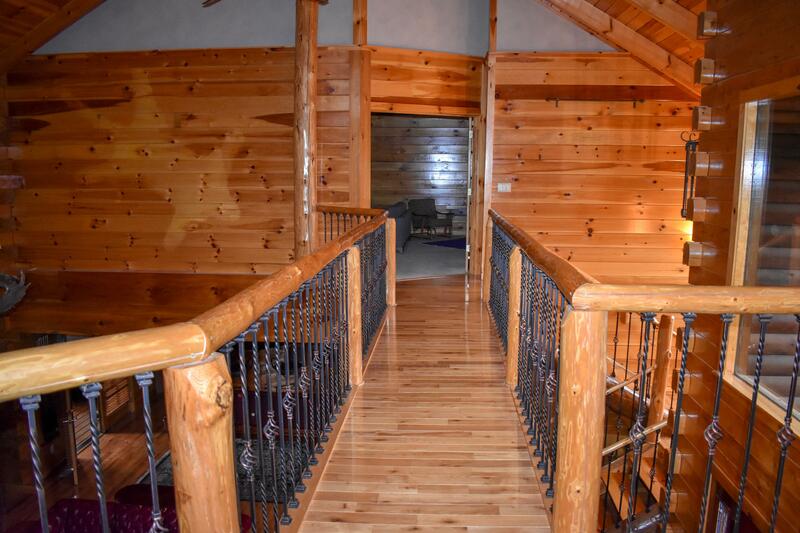 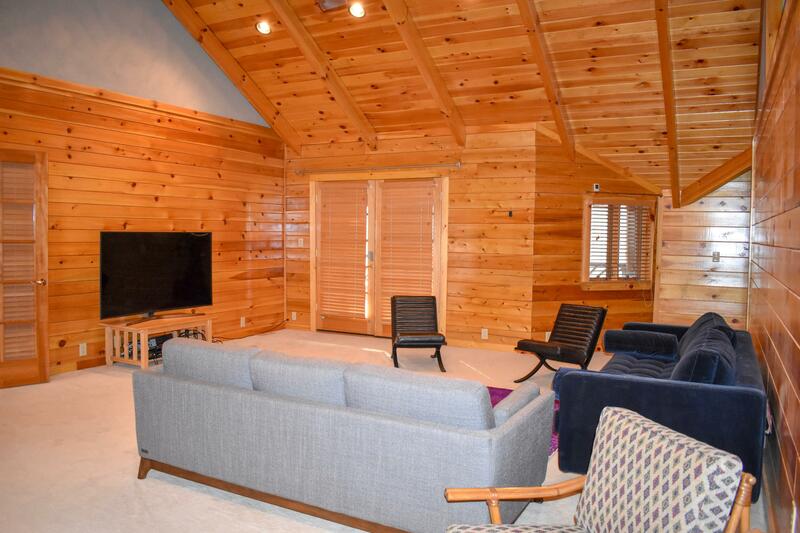 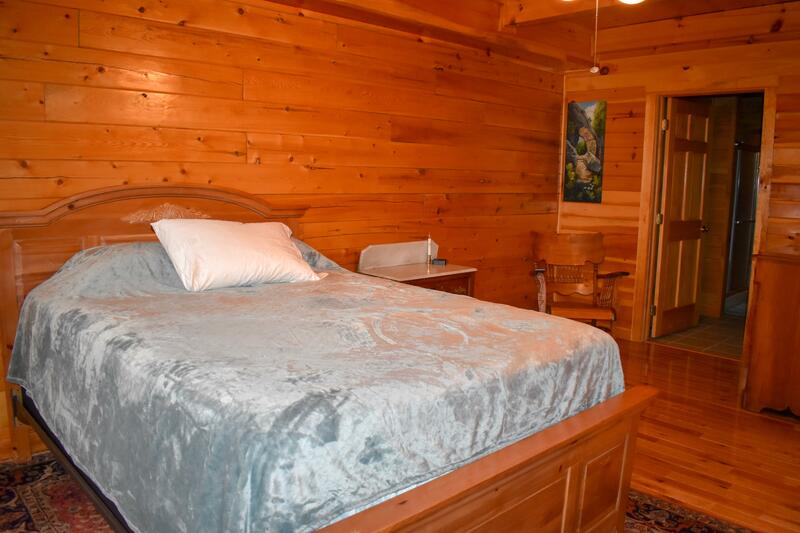 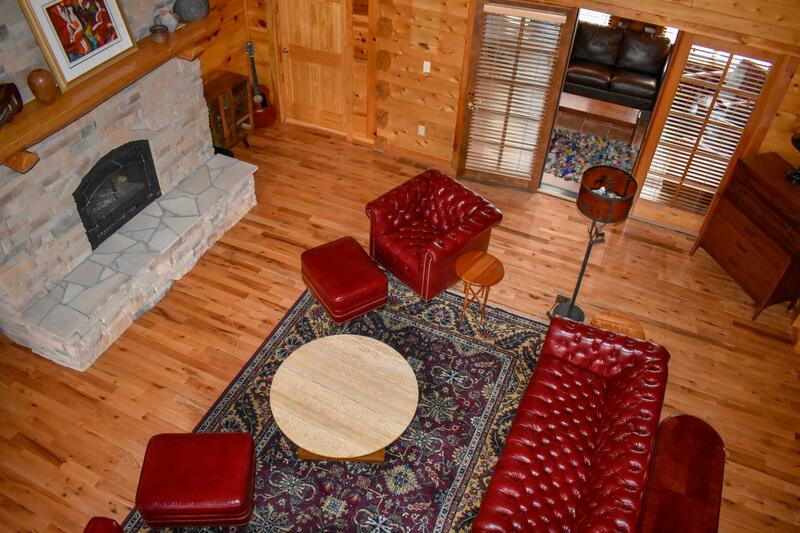 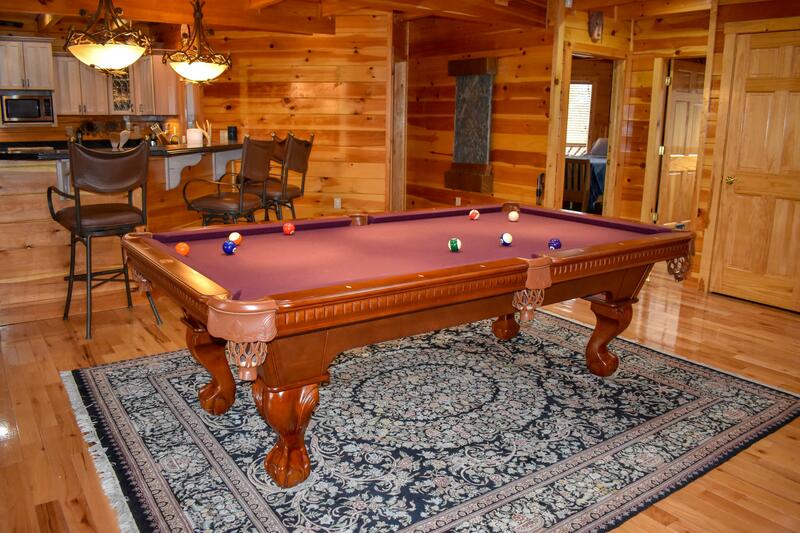 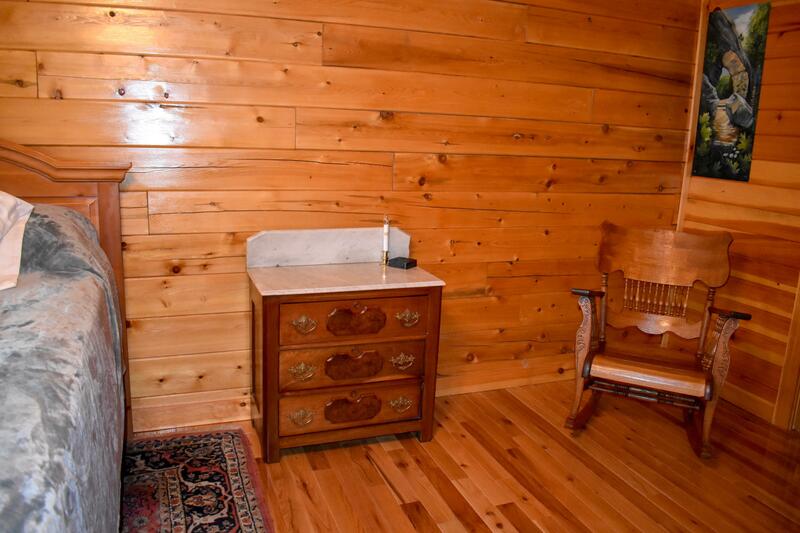 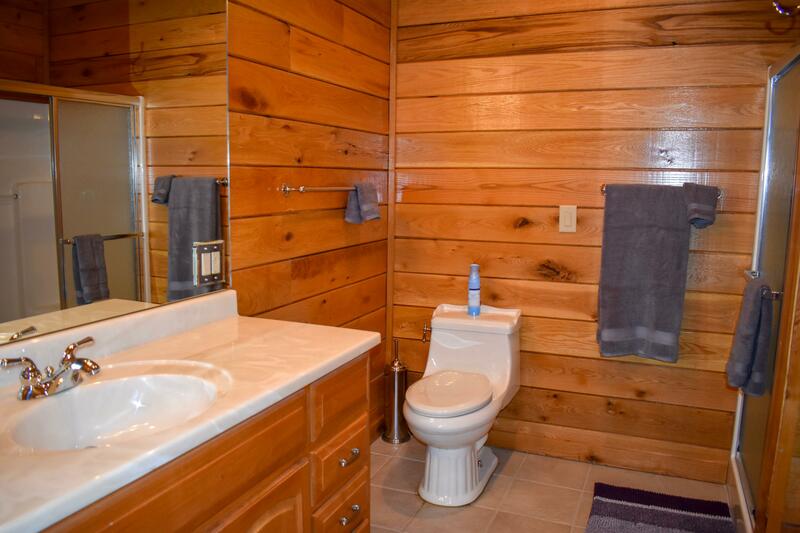 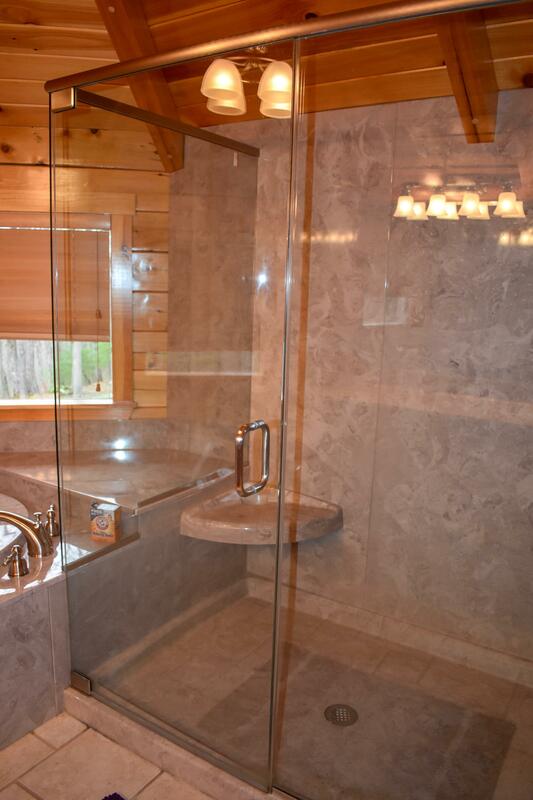 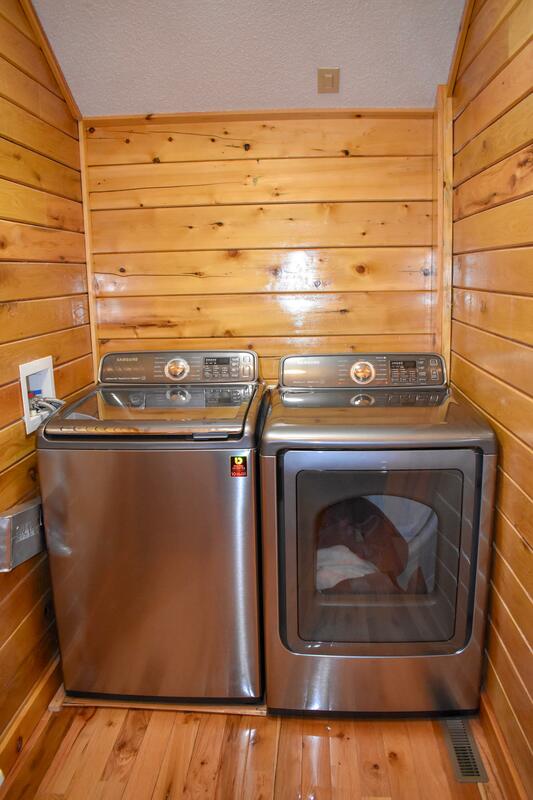 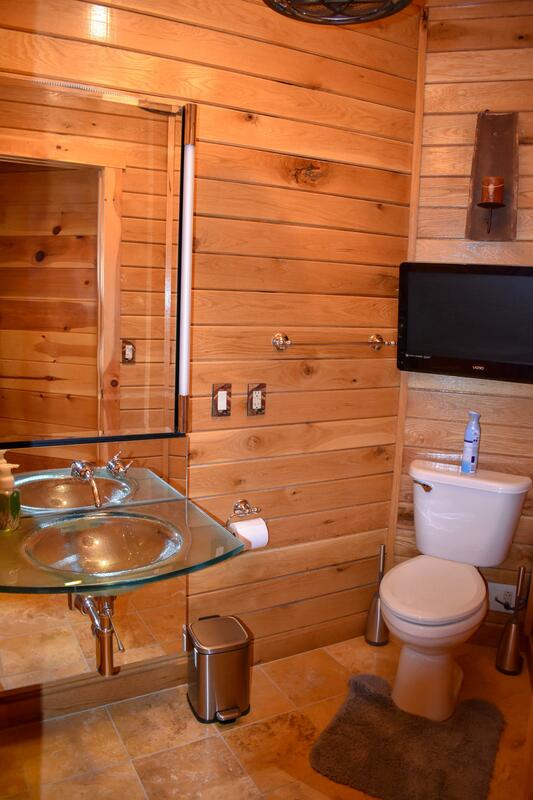 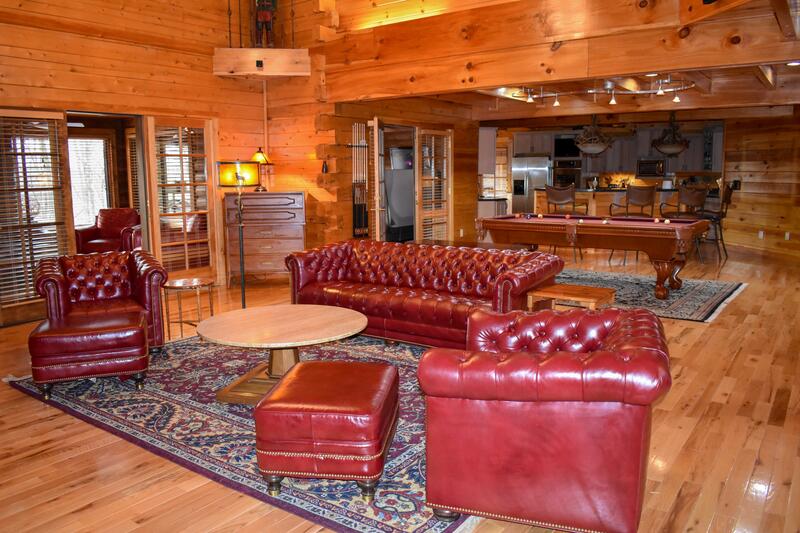 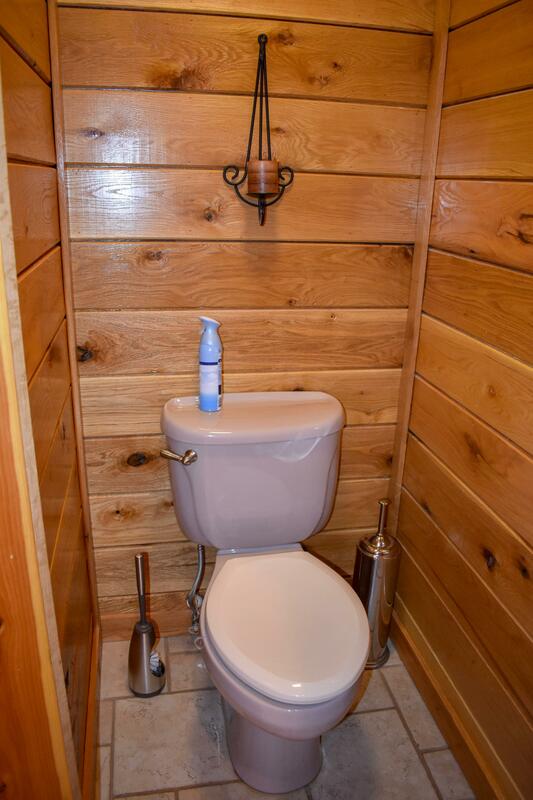 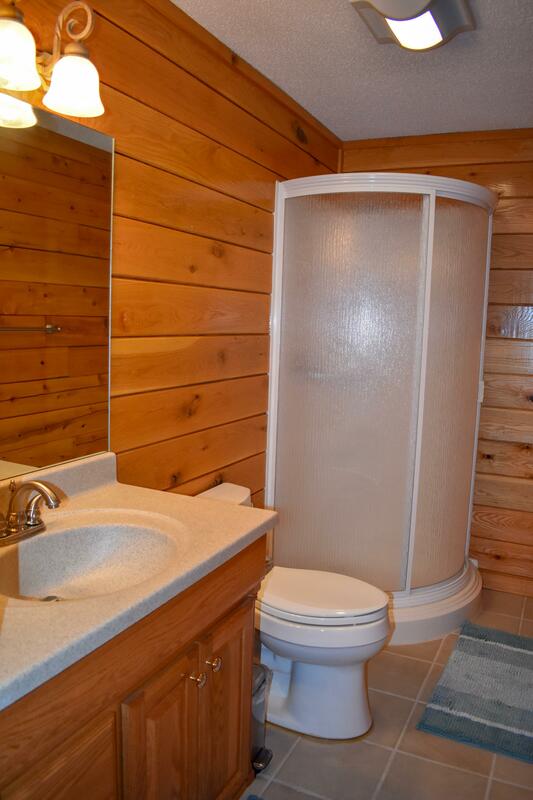 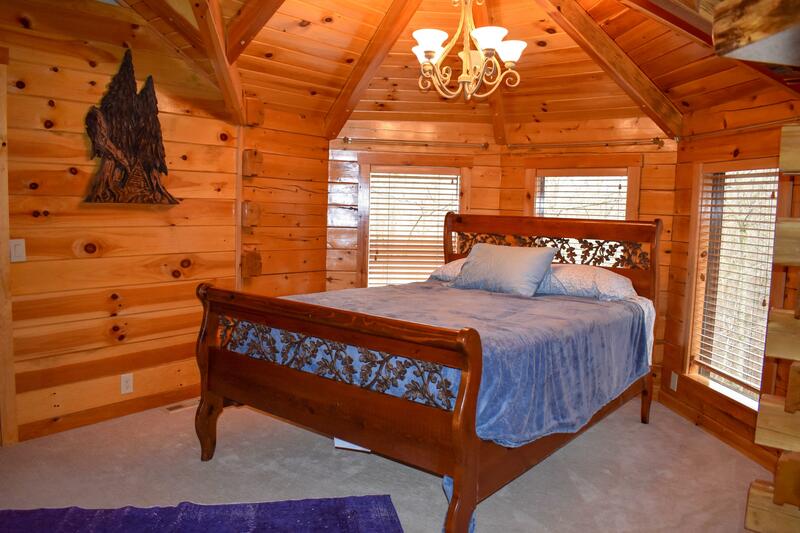 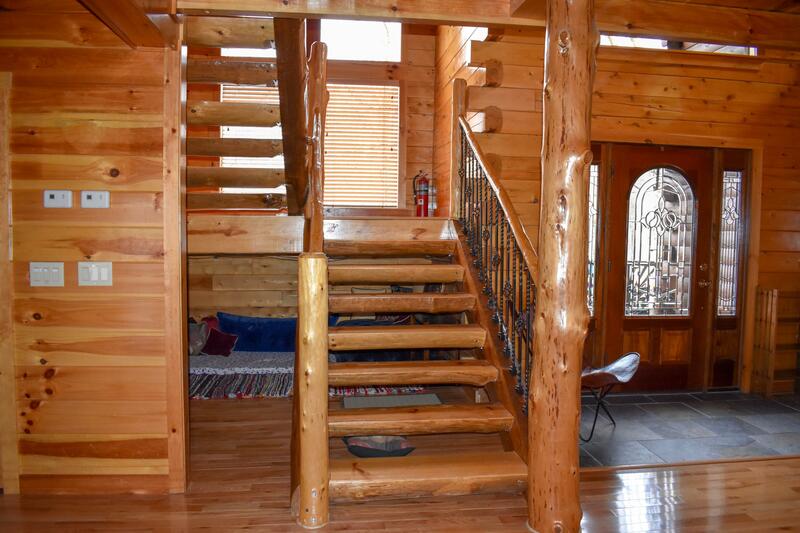 Huge cedar logs run throughout the cabin making it feel like you are in a Rocky Mountain mansion. 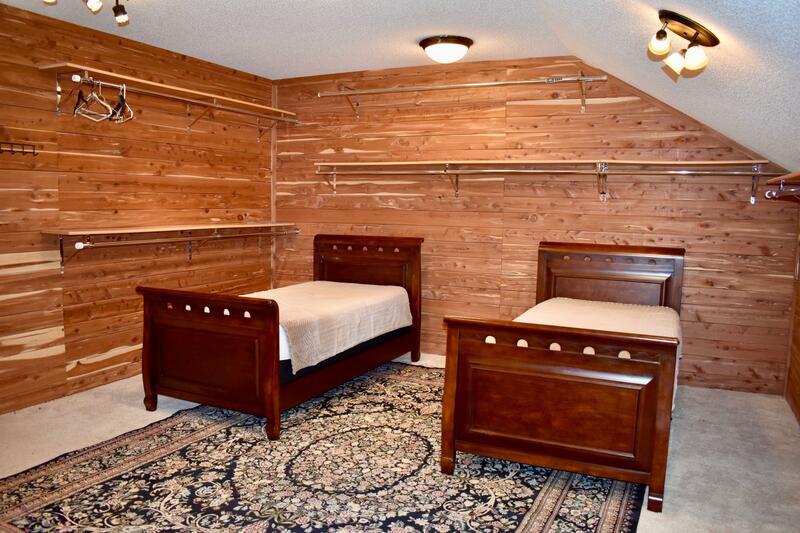 There are five queen beds, two twin beds, and plenty more room for the kids if there is a need. 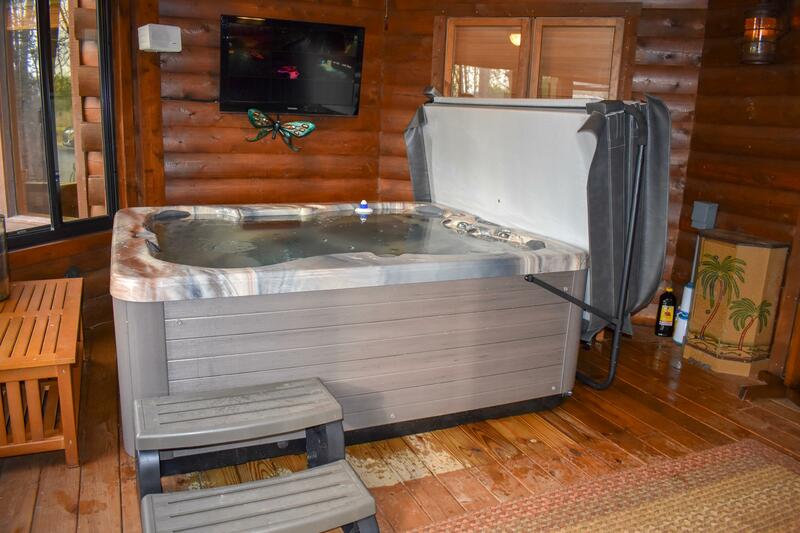 You will enjoy plenty of level paved parking, three car garage (if needed), beautiful outdoor spaces like the gathering place around the fire pit. 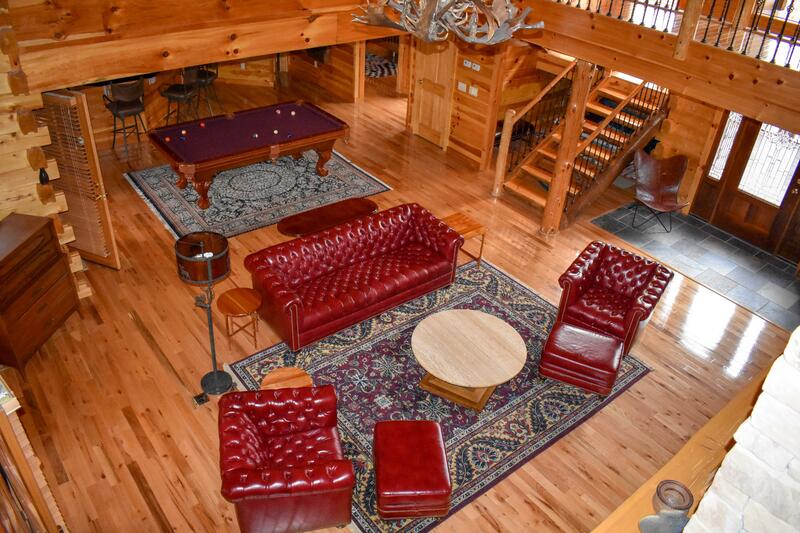 If you are looking for an all-in-one for your rehearsal dinner, wedding, and honeymoon, this is the venue! 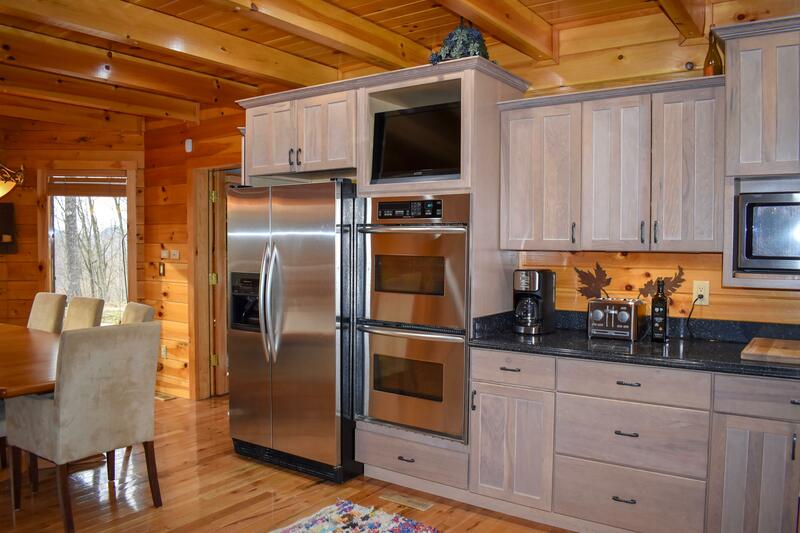 The size of this cabin gives plenty of room to separate the bride and groom before the wedding and the space can handle about 40 people to witness the special day. 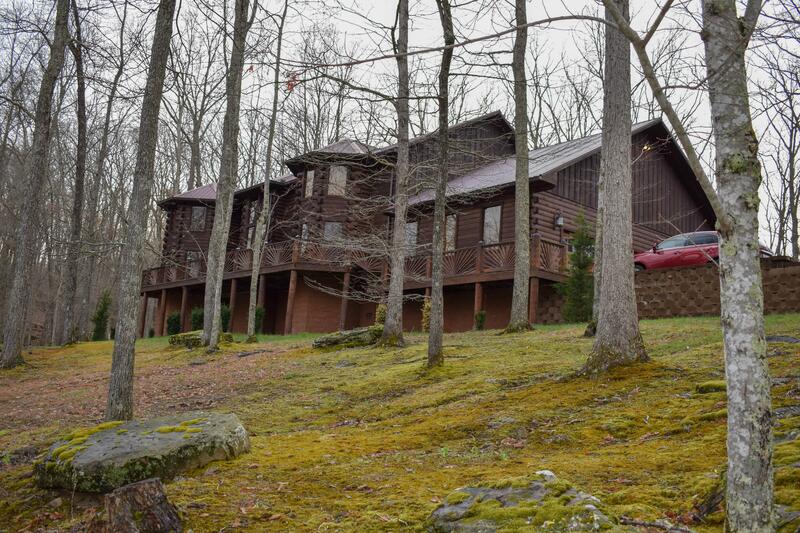 The bride and groom can spend the next few days in this mansion for an awesome honey moon. 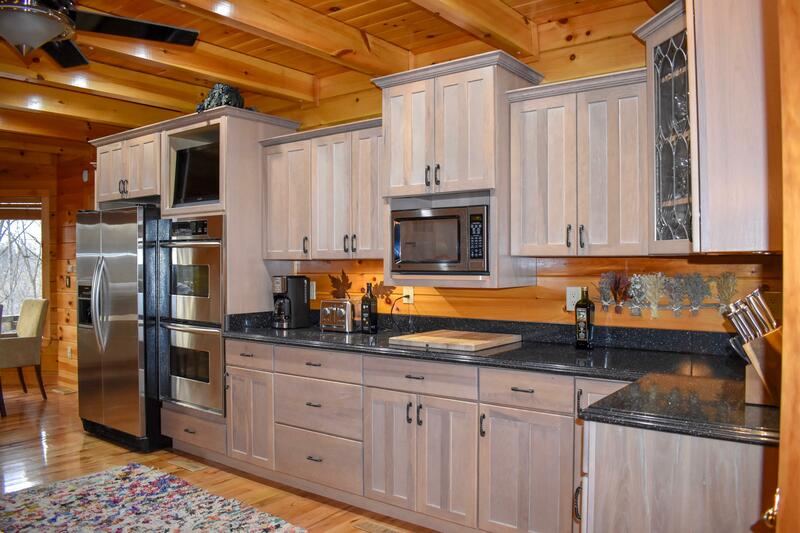 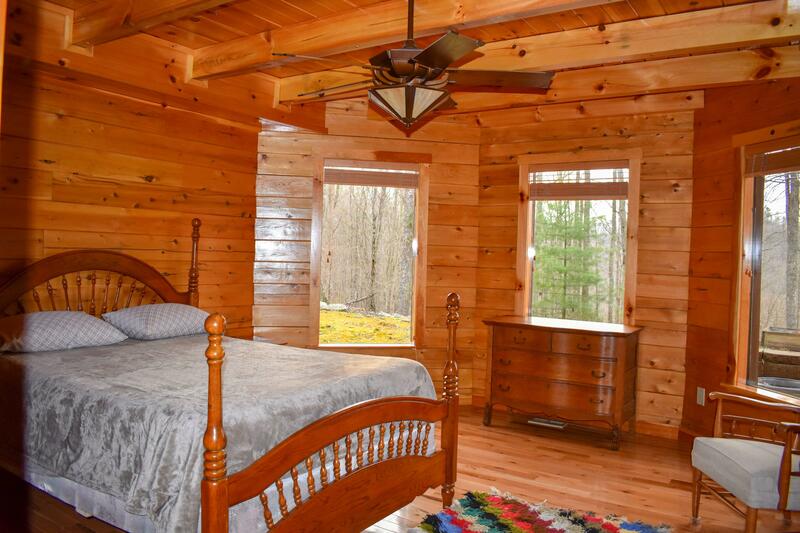 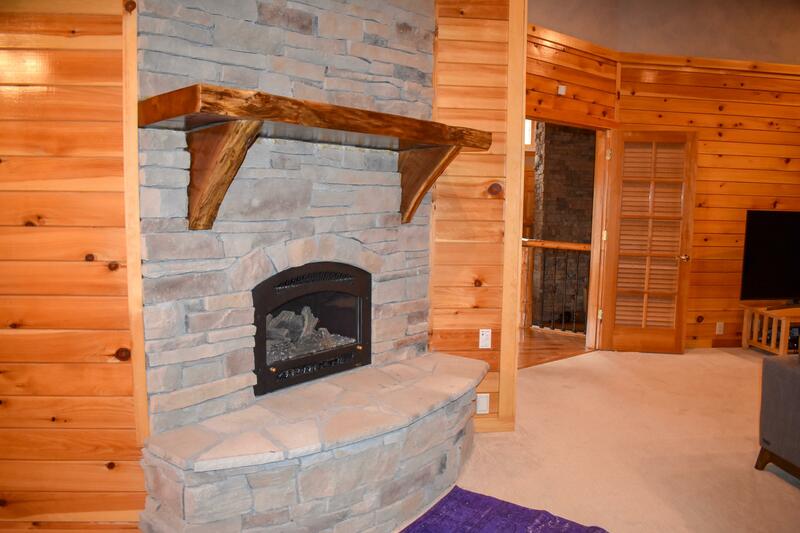 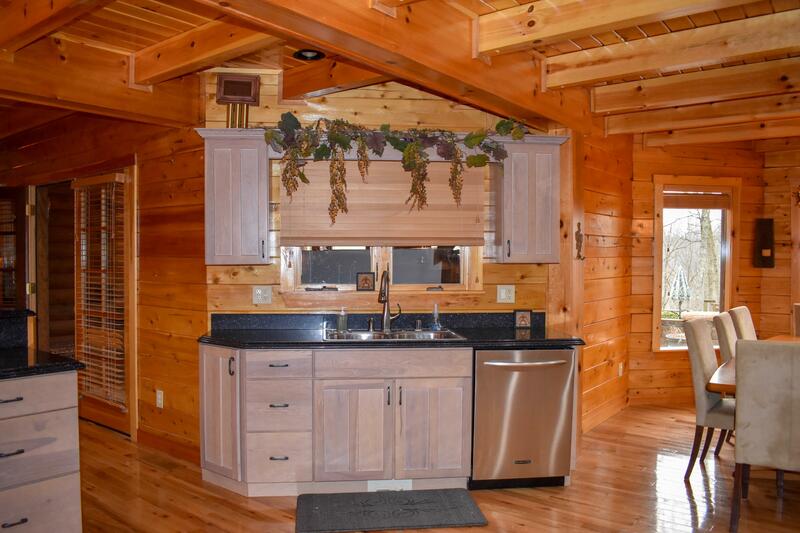 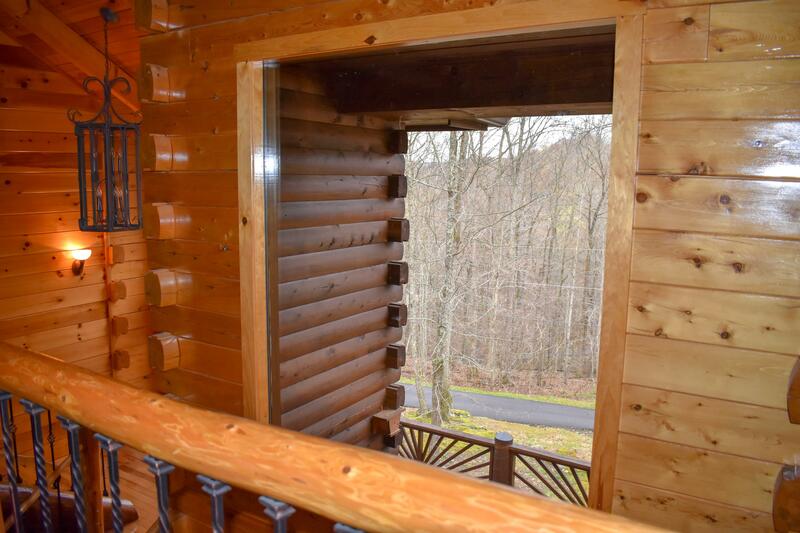 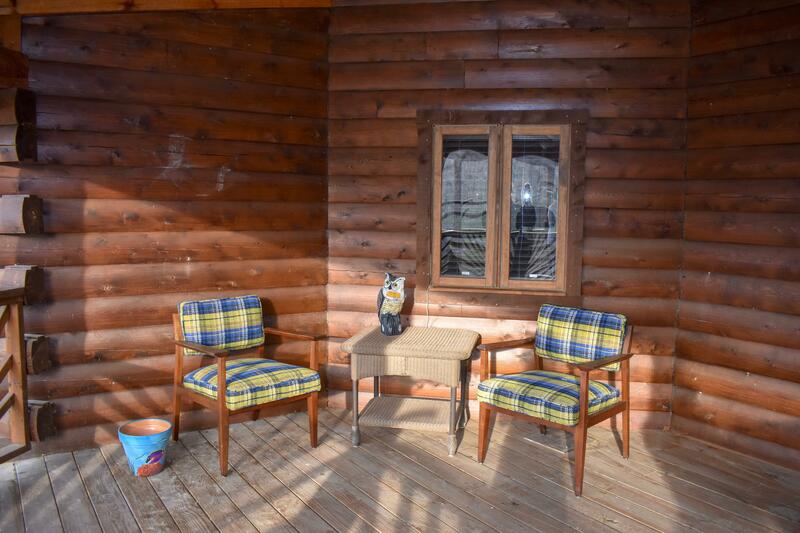 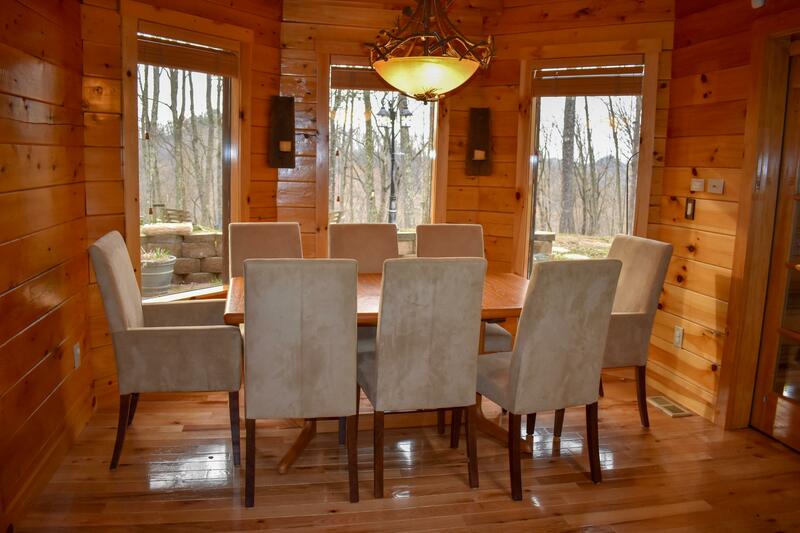 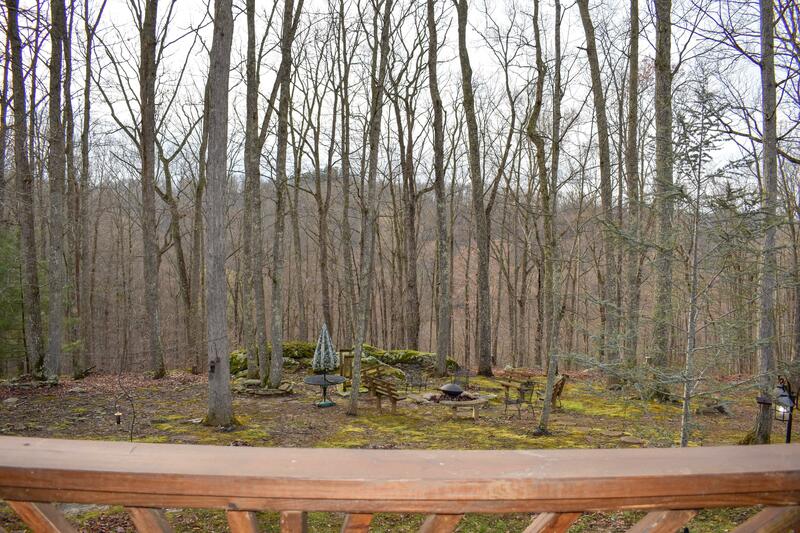 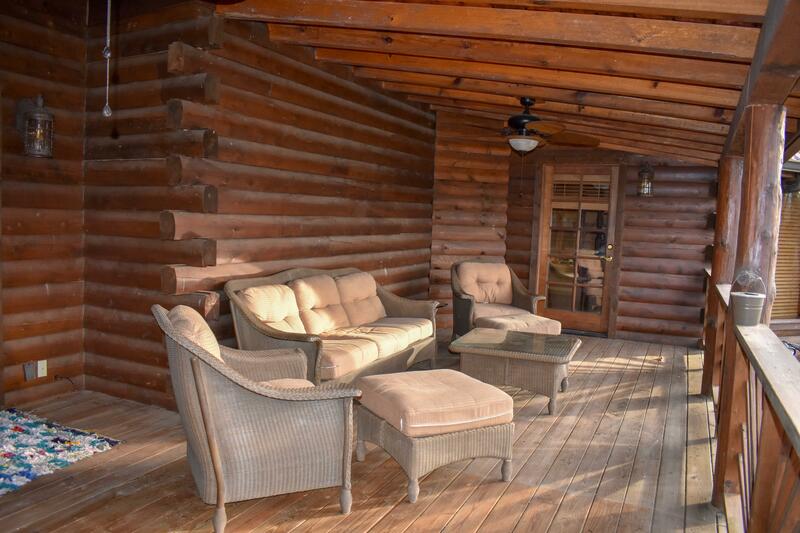 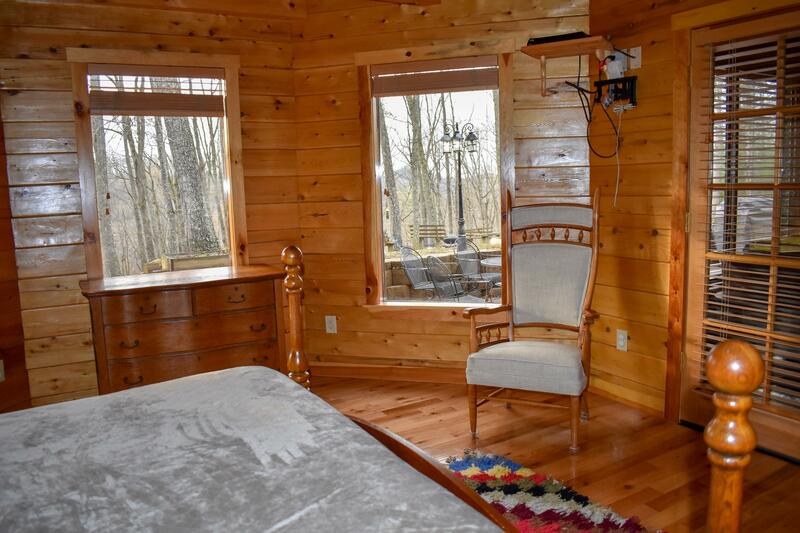 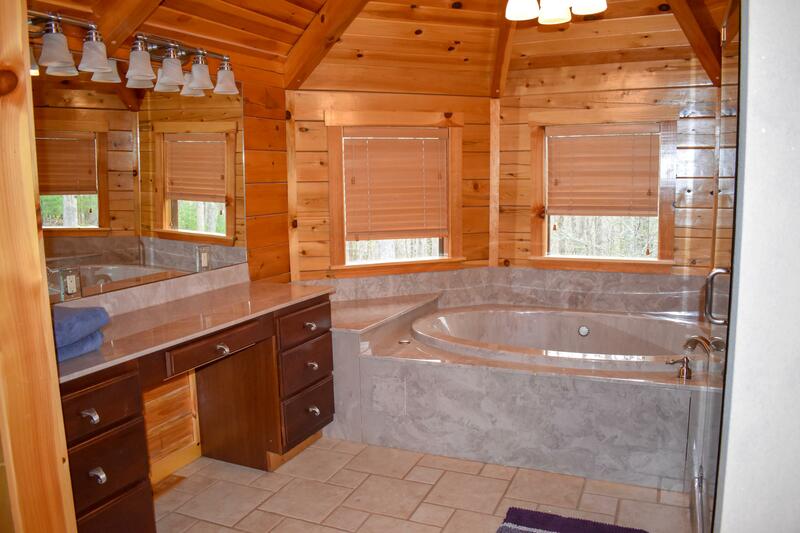 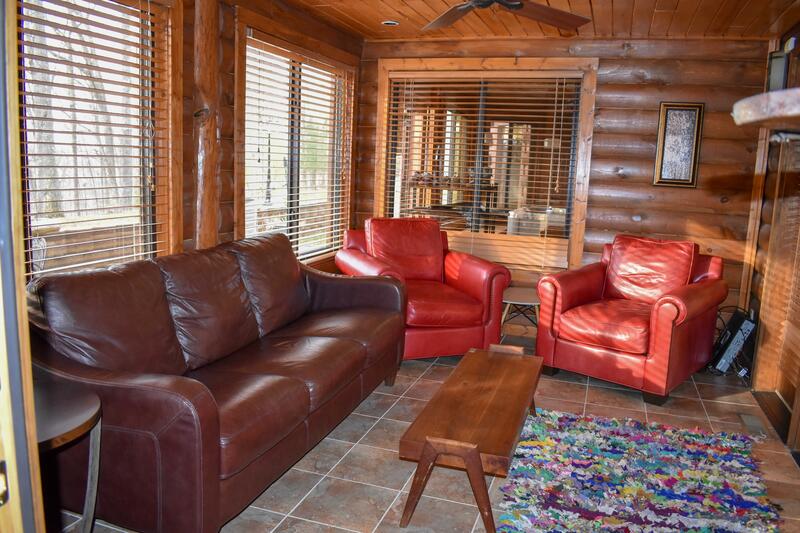 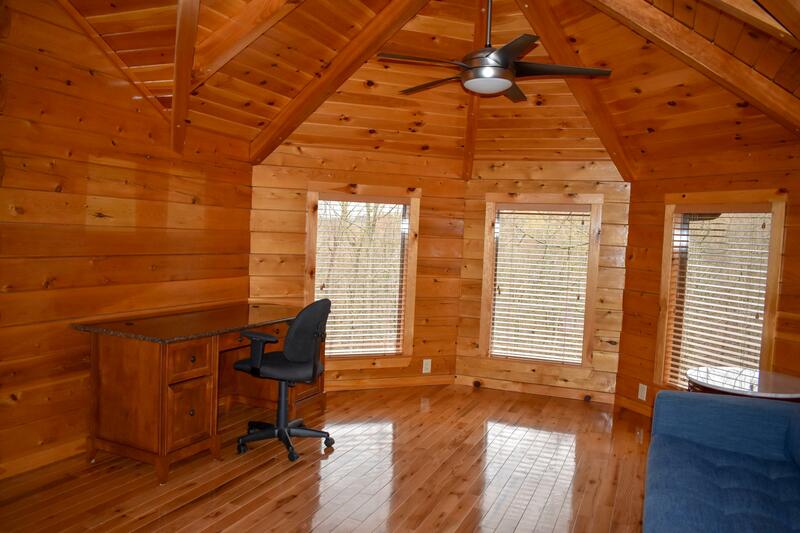 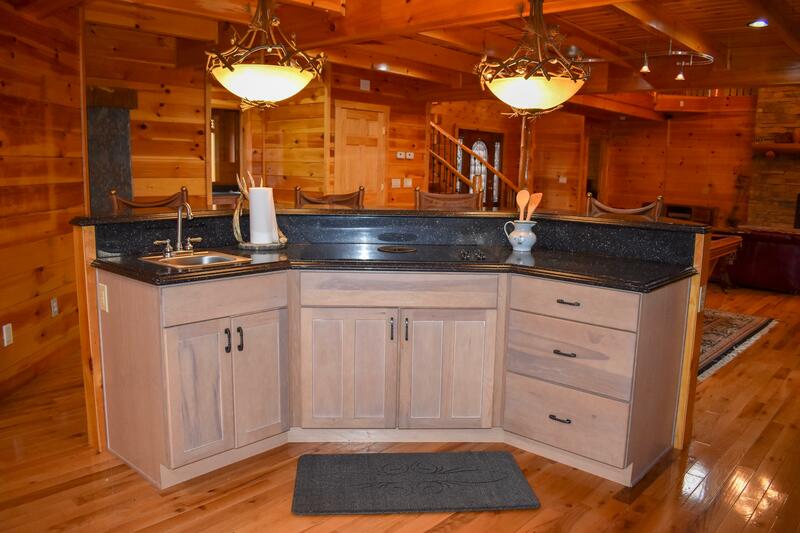 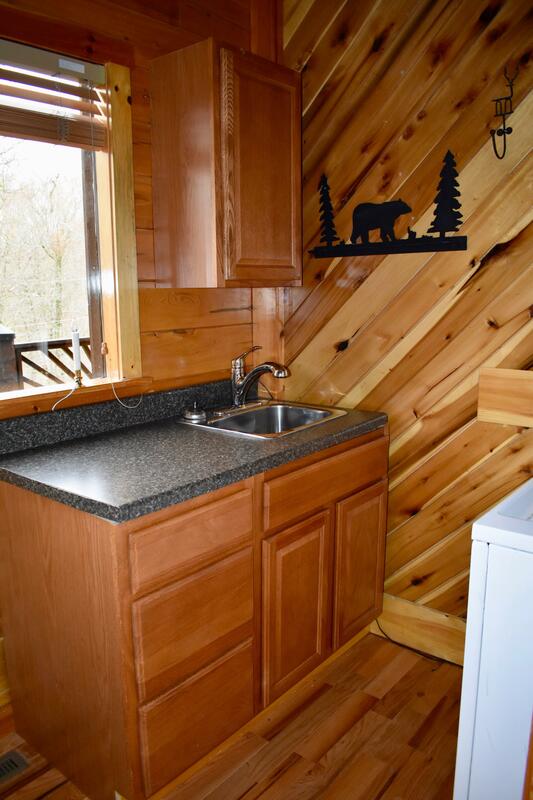 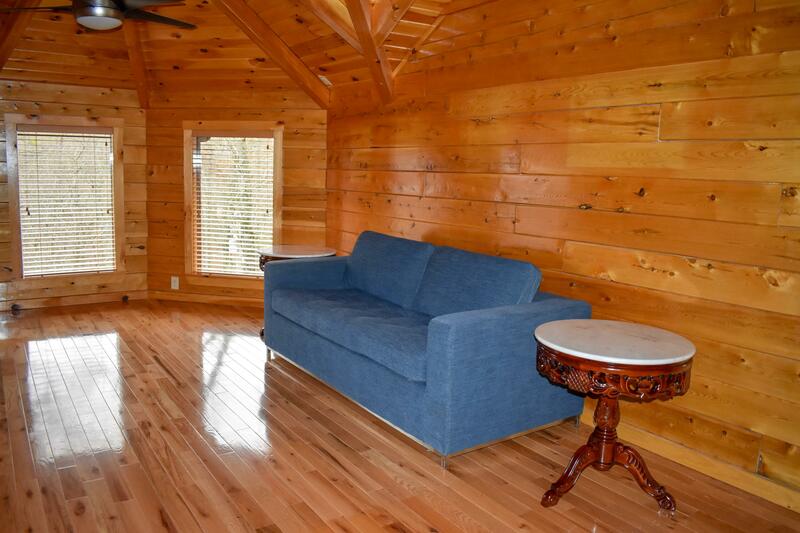 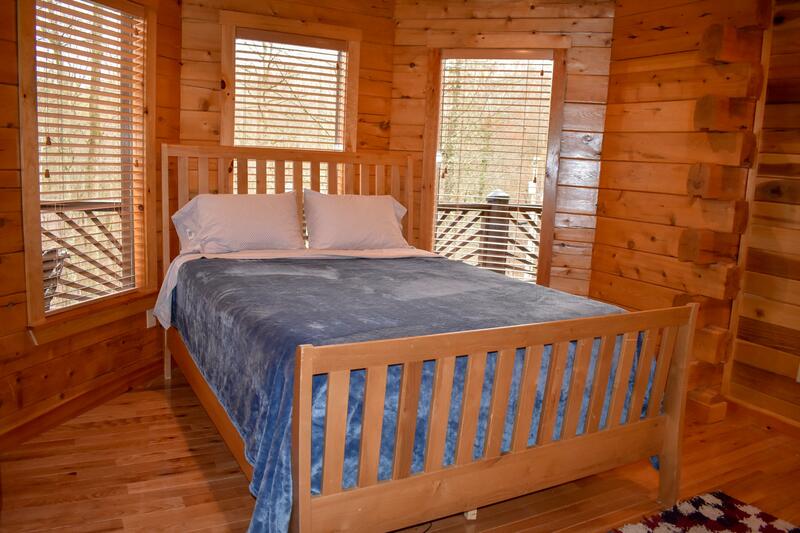 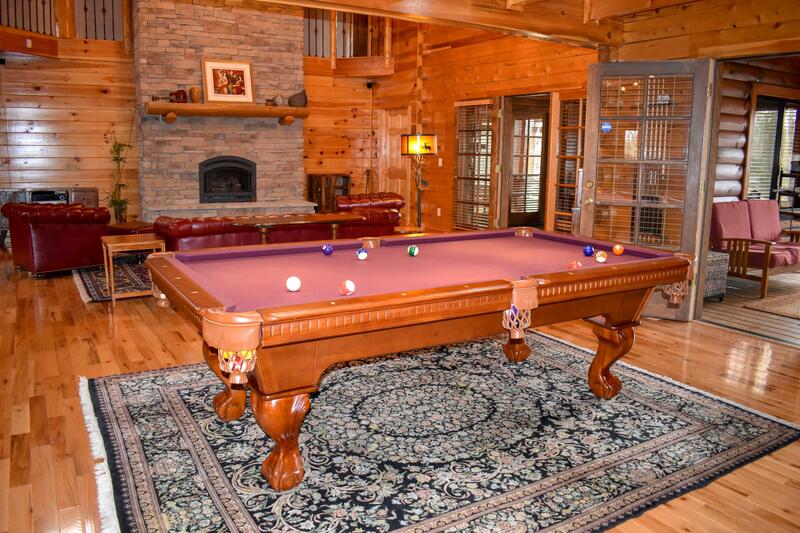 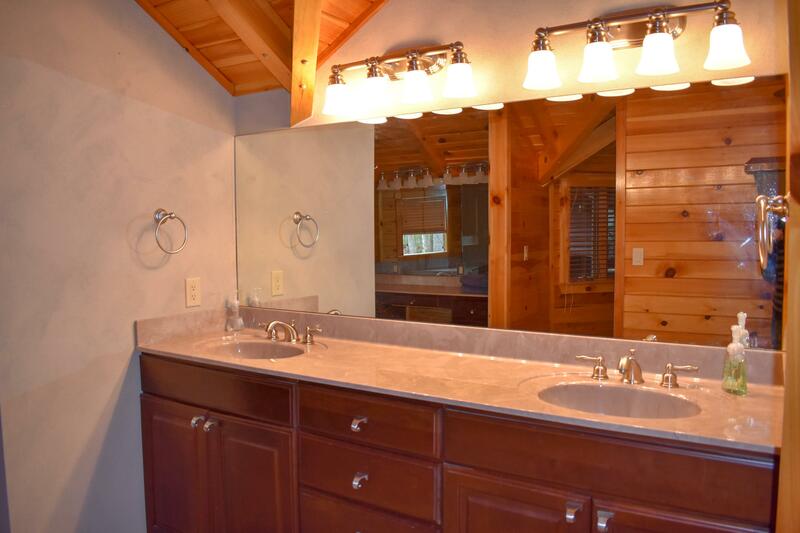 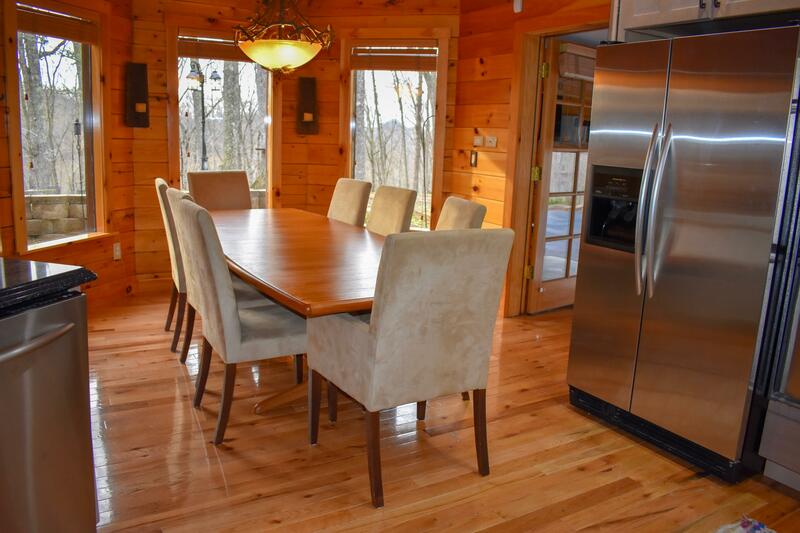 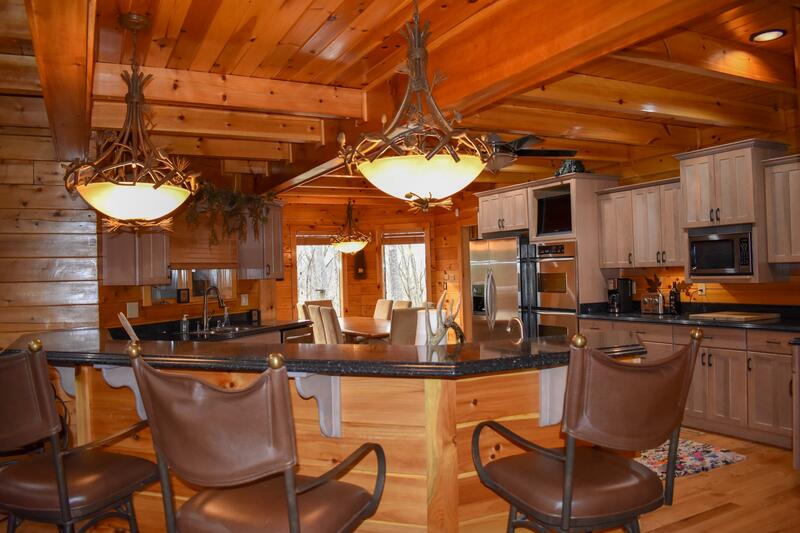 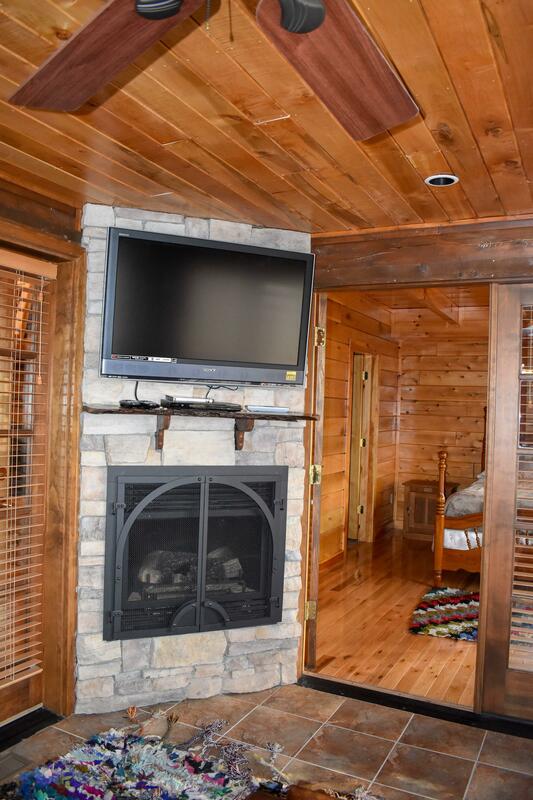 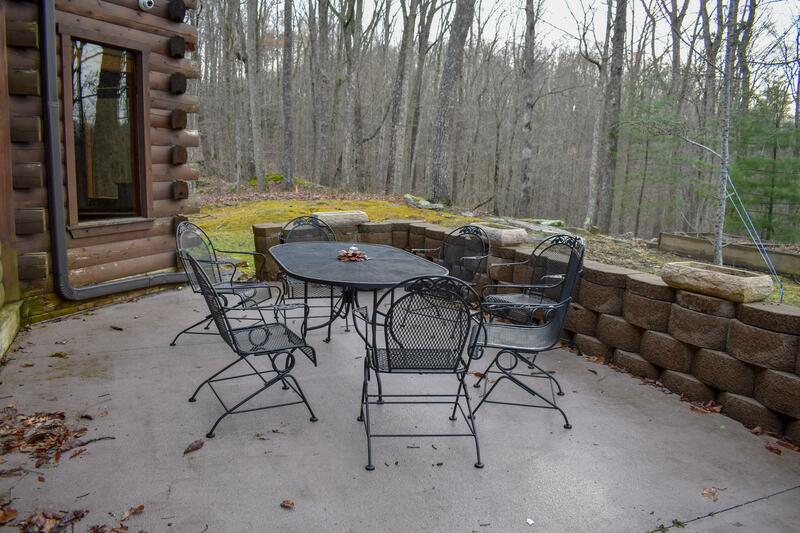 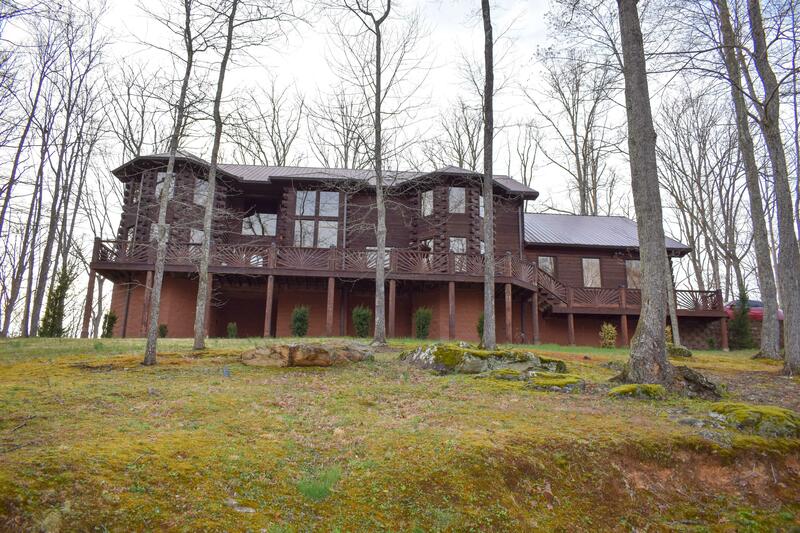 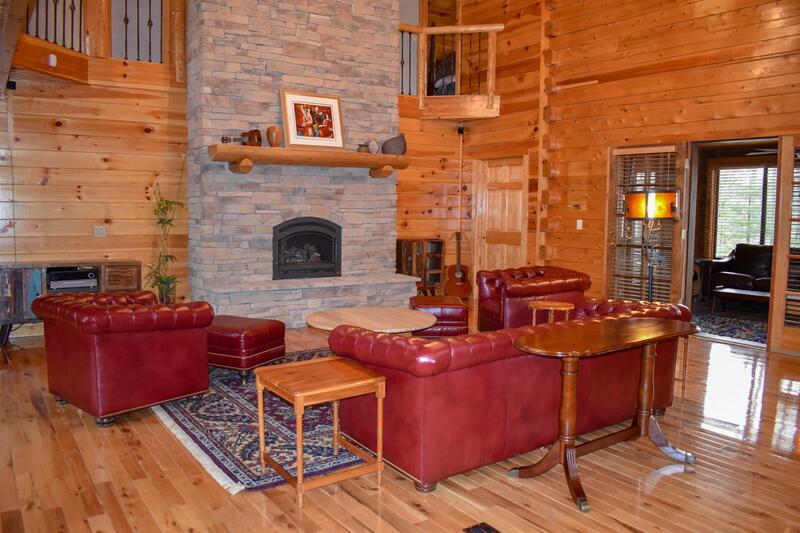 Stunning Canadian cedar log home with views of the Red River Gorge & Natural Bridge State Park. 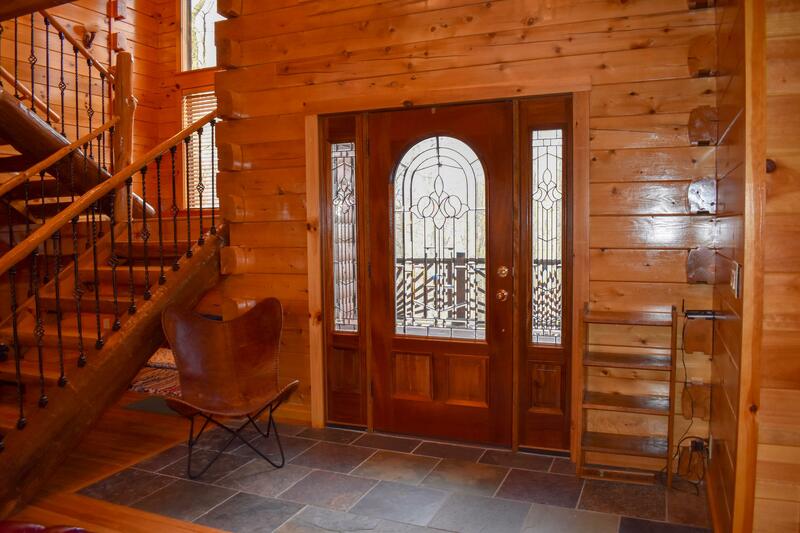 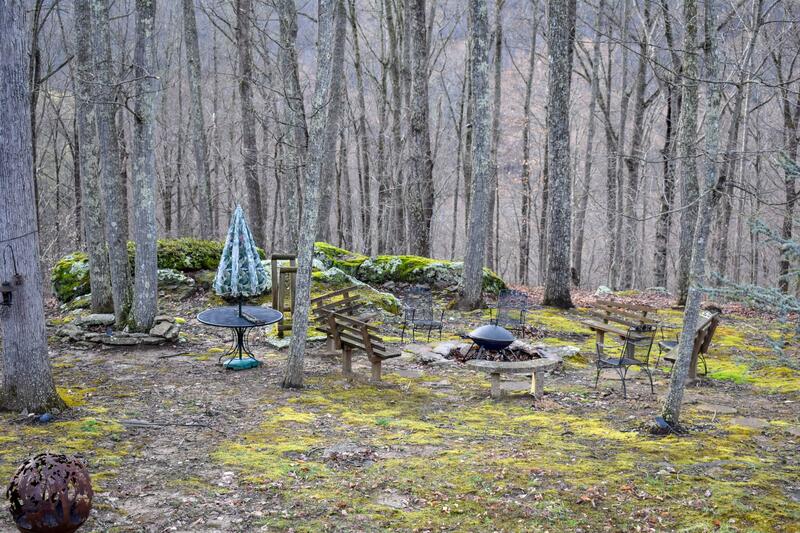 Private gated residence 10 minutes from the Mountain Parkway. 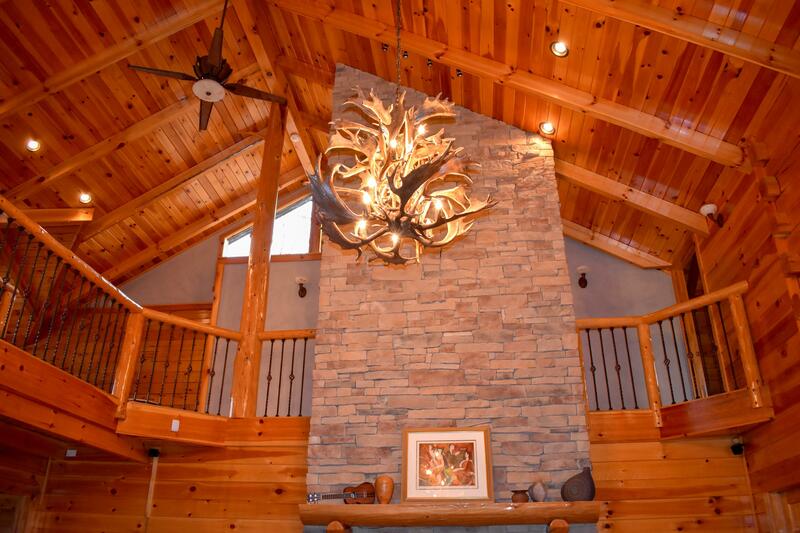 Gorgeous mountain home with open floor plan. 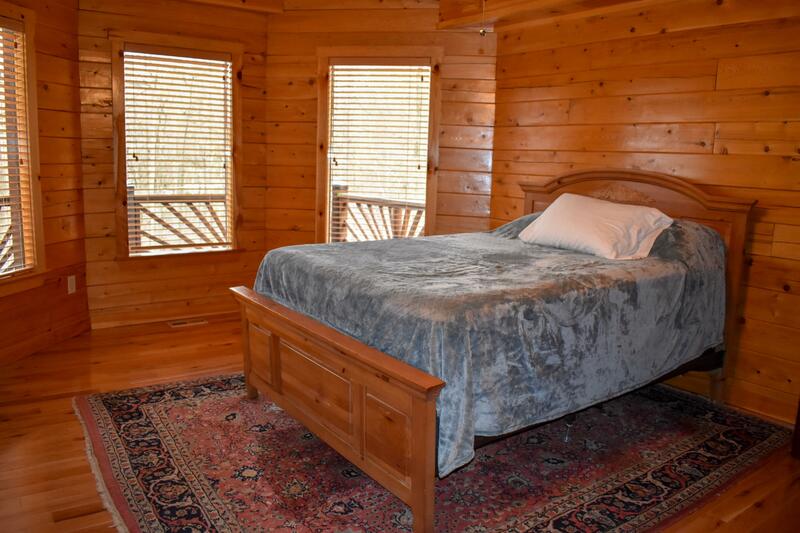 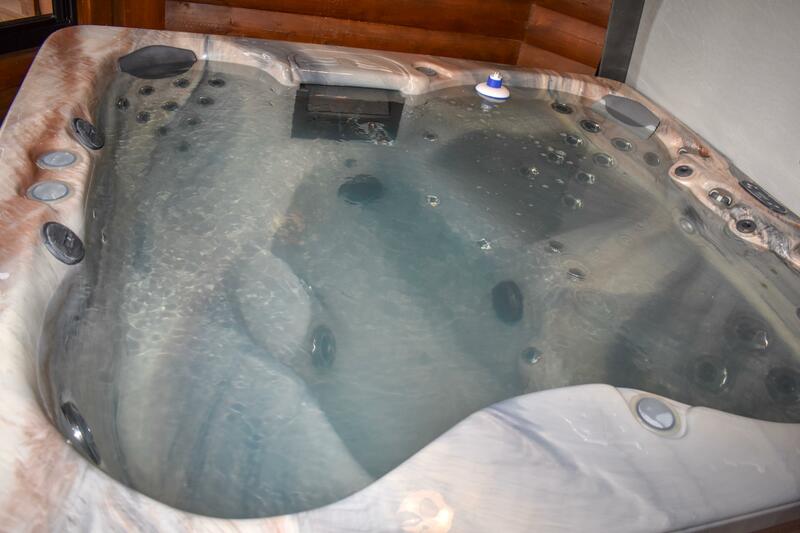 The home includes 3 fireplaces, geothermal heat/cooling system, 2 master bedroom suites, modern kitchen w/ granite & stainless, storage galore, 2 laundry rooms, covered porches, outdoor living space and a 3 car garage. 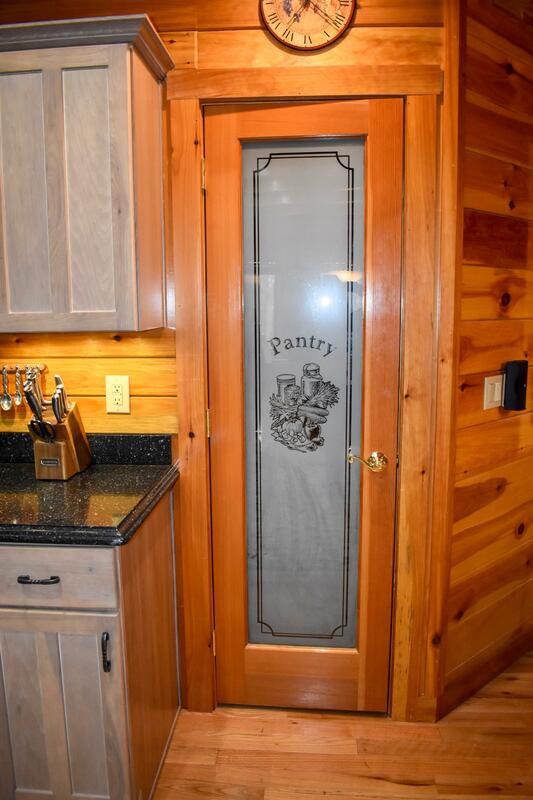 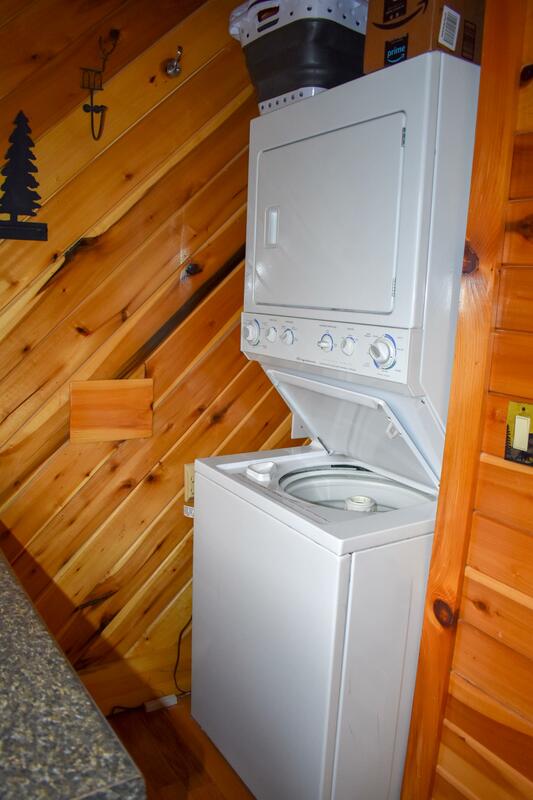 Equipped kitchen with a refrigerator, microwave, two ovens, a stove top, dishwasher, coffee pot and a large pantry space.